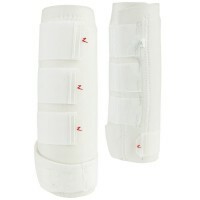 Leg protection for high performance. 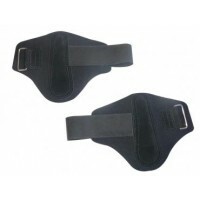 Specially designed for increased freedom with soft padded linin.. 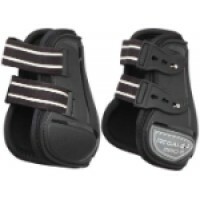 This quality open front boot and fetlock boot has a polyurethane outer with a soft neoprene lining. 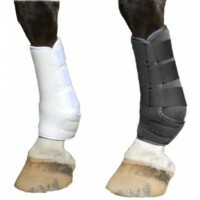 ..
Superior protection for your horse's legs and soft tissues. 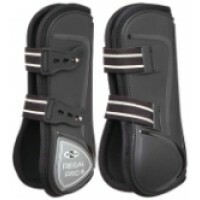 An impact-proof hard cover is lined with..
Super light and durable cross country boots for front legs with integrated layer to stop sand and di..
Super light and durable cross country boots for hind legs with integrated layer to stop sand and dir..
Lightweight protective boot with extreme breathing capabilities. 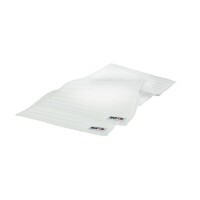 Outer material 1680 Denier polyeste.. 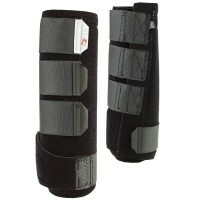 Features shatterproof plastic protection plates on the shin, firmly double stitched in place fo..
Quality fetlock boots. 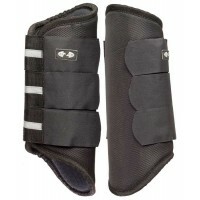 A shatter-proof shell and shock-absorbing neoprene offer excellent protection.. 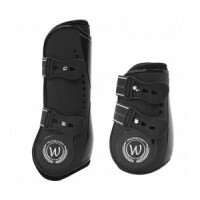 Premium Waldhausen fetlock boots. 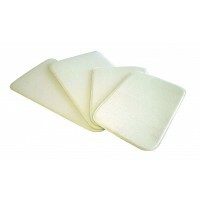 Anatomically molded shell with ventilation slots. 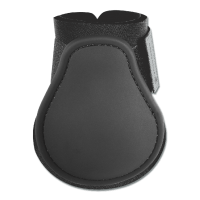 Breathable, shoc..
Fetlock Boots - Zilco "Regal Pro III"
Stylish protection for the hind legs. 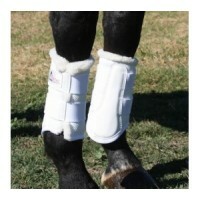 These boots have 6mm thick neoprene lining and a strong PU out..
Leg straps for attachment around the horse's legs. 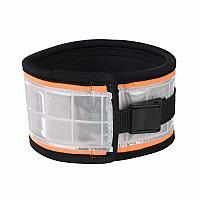 Closure with both velcro and plastic buckles. 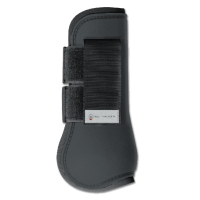 Fit..
Small boot to protect the pastern. 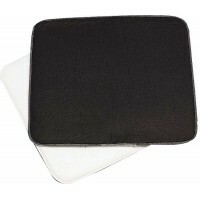 Made from neoprene. 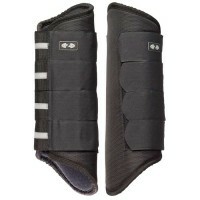 Black, One Size Fits All.. 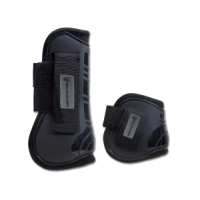 Comfortable neoprene boot which helps prevent damage against knocks and bumps. 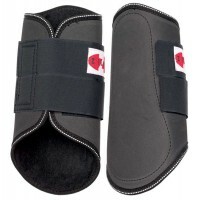 Excellent choice for ..
Neoprene boots with velcro tabs - helps prevent damage to shins and fetlocks. 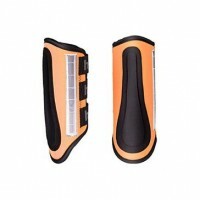 Black pair..
Neoprene boots in high visibility orange with wide reflective stripes. 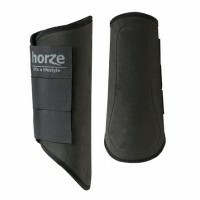 Good, secure protection for t..
7mm neoprene with bound edges to support the tendon and fetlock joint. 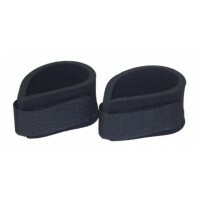 Made for the front and hind l..
Neoprene wrap boots with velcro tabs - helps prevent damage to shins and fetlocks. Black or Blu.. 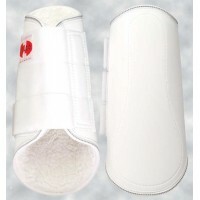 Affordable leg protection with a comfortable soft pile lining. 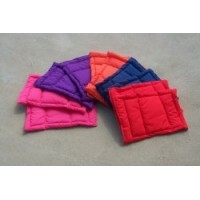 The soft protection offers good suppo..
Tough EVA outer with curl fleece lining and hook and loop closure. 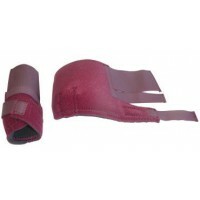 Can be used as front or hind boot..
Quality open front tendon boots that protect the fetlock and the canon. 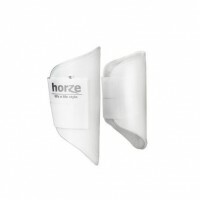 A shatter-proof shell and sh..
Now in Pony Size! 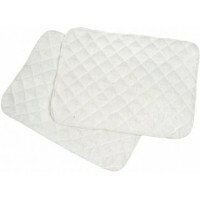 Perfectly shaped to fit pony legs. 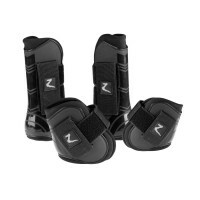 Quality open front tendon boots that protect t..
Hologram Front Boots with padded neoprene inner for extra tendon protection. 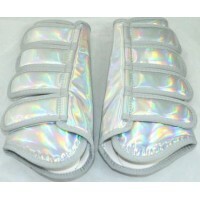 Pair Sizes: Full &.. 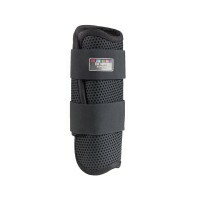 Premium Waldhausen tendon boots. 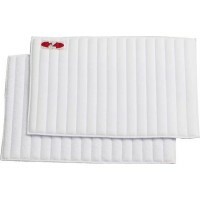 Anatomically molded shell with ventilation slots. 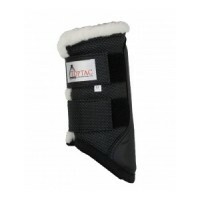 Breathable, shock..
Toptac Neoprene Tendon boot w/ fleece lining can be used on both the front and hind legs. 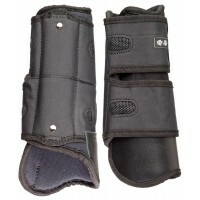 Sold in p..
Tendon Boots - Zilco "Regal Pro III"
Stylish protection for the front legs. 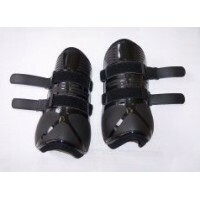 These boots have 6mm thick neoprene lining and a strong PU ou..